Hi and welcome to my blog. Recently, at a marketing conference I was attending, the leader asked us all to come up with our “big why.” This exercise was one of the most revealing I’ve ever done. The imperative this creates—both for me, in making sure these books get published properly, and for you, to make sure the story that only you can tell gets out into the world—is the force behind what I do here. You can find a series of articles on my background in printing, graphic design, typography and book publishing in the Publishing Timeline. It details my personal journey from the early 1970s working on letterpress, offset and digital printing equipment. As for what’s happening now, you’ll find a I spend a lot of time researching new ways for you to get your books into print, to make them more apt to sell, and be a source of pride to both author and publisher. I’ve used my background in book design, advertising, graphic design to create this collection of over 700 articles that are authoritative, easy to understand, and fair-minded. 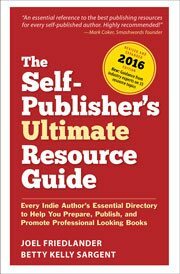 The information here has helped guide thousands of authors just like you as they made their way through the publishing process. I’m very excited about the changes going on in the publishing industry and the democratizing effect of new technologies on an ancient business. The world of print book publishing is in what may be apocalyptic change, and the world of ebook publishing is in its infancy. An important part of educating authors is speaking to publishing and writing groups. Recently I’ve spoken to groups in San Francisco, and will be on the faculty for the upcoming San Francisco Writers Conference and the IBPA Publishing University. I also serve on the Advisory Board of the Bay Area Independent Publishers Association (BAIPA). As we move toward the new age of book publishing, the challenges on writers, publishers, designers and engineers are awesome. We’re creating a new world as we move into the future of publishing. The social media revolution is, at the same time, bringing us into closer contact with like-minded people. The next step for me, and for those of you who want to join me, is the training course I’ve put together for you to learn self-publishing. It’s streamlined and extensive, with video training and strategic downloads that guide you through the journey. Joel Friedlander is also the author of Body Types: The Enneagram of Essence Types, a book that explores an ancient system of classifying people according to their physical traits. This system is best understood as a metaphor or mythological structure that teaches us about the spectrum of humanity, without necessarily describing any specific person.